Compact and lightweight design that carries like a pocket knife. Essential components for emergency situations. Clip-knife styling with full-size drop-point blade that utilizes liner lock technology. Larger essential components for full functionality even in compact and lightweight multitool. 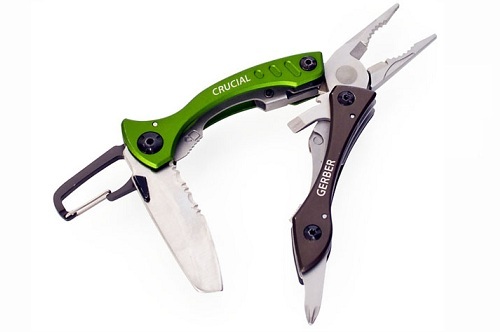 Eight functions: pliers, v-cut wire cutter, 1/2-inch serrated blade, cross-head screwdriver, bottle opener, medium flat driver, pocket clip, and carabiner clip. Price: $28.87 & FREE Shipping.